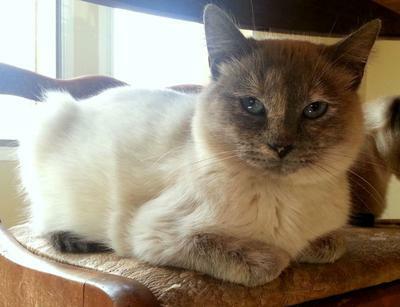 Evermead Siamese is located in Bardwell, Kentucky. 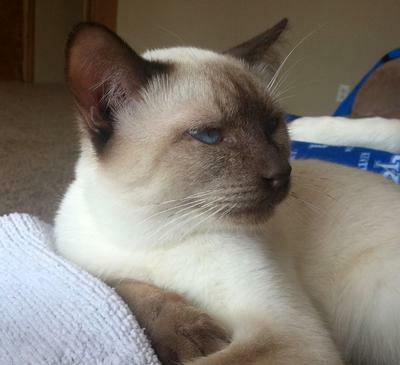 We raise healthy, robust, traditional-style Siamese (and occasionally Balinese) kittens. We have all four point colors - seal, blue, chocolate and lilac. We occasionally have tortie, cream, and red points. Our cats are part of our family and raised underfoot in our home. Our kittens are allowed to go to their new homes at twelve weeks of age. Evermead Cattery is a FeLV/FIV-free cattery and is registered with the Cat Fancier's Federation.